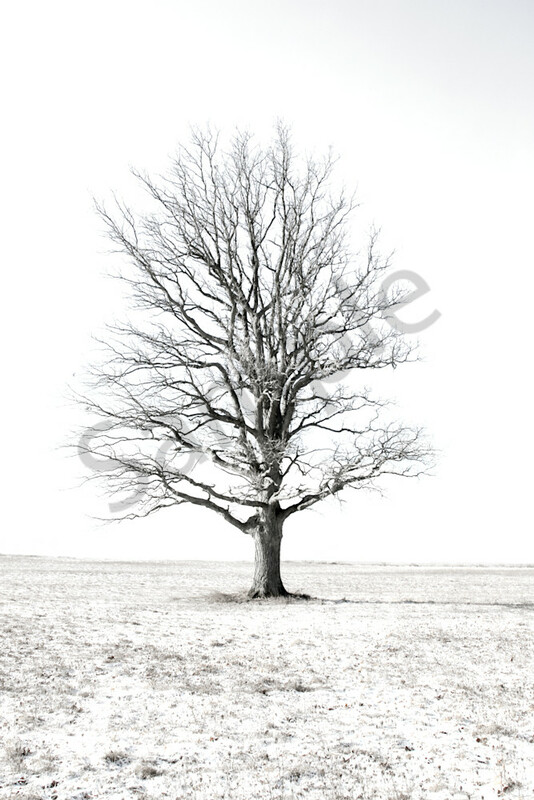 Photograph of a tree with a white winter backdrop available fine art print for sale by Michael Toole. A haunting shot of a very old oak tree with a stark background and a very interesting foreground. This is the thrid Photograph from the series of trees taken by Michael with this technique. Some of colours are captured in the foreground of this photograph despite the level of exposure. The piece is extremely modern and sleek when it is mounted on acrylic. All materials used in the creation of Michael Toole's artwork is of archival quality. © Copyright 2017, Michael Toole Art, Inc. All Rights Reserved. Michael is open to creating commissioned work and custom sized works upon request. Please feel free to inquire about commissions or conact Michael to inquire about available products and up coming shows.